Sysdyne offers products that are innovative and accessibly priced. Our iStrada™ platform will propel your business into the digital world, helping you to successfully compete in this increasingly competitive market. iStrada by Sysdyne helps businesses go paperless while setting a new standard. This comprehensive online platform allows producers and their customers to collaborate seamlessly. 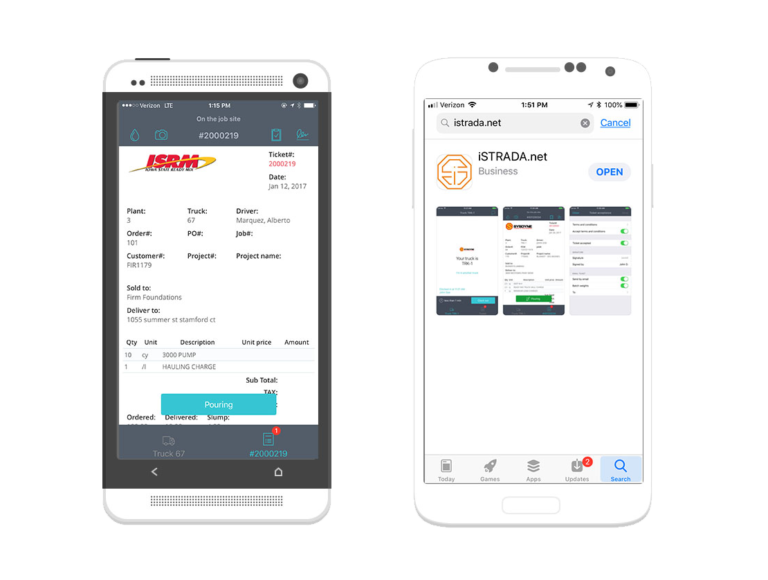 The iStrada.net web portal gives stakeholders the ability to track and monitor concrete deliveries in real time, while the driver’s app updates the portal automatically and delivers the hot ticket electronically. Together, these features revolutionize the way you deliver concrete and make it easier for clients to conduct business with you. - DRIVERS would never get lost while delivering concrete or have to deal with tons of paperwork, including tickets, batch weights, DVIRs, and inspection sheets. - CUSTOMERS would no longer have to wait in the queue to inquire about deliveries. Instead, they would be able to track their own deliveries in real time. - DISPATCHERS would no longer need to answer customer phone calls to check on their delivery status. They would have online access to order information, which would ensure clear communication. Our iStrada app runs directly on your Android or iOS mobile device. You supply the device, and iStrada does the rest. From e-tickets to GPS truck tracking, we make your devices work for you. Our apps also work when cell coverage is not reliable. In offline mode, the app continues to function. All gathered data will be synchronized as soon as the signal reconnects. Our iStrada app automatically updates the truck status, water content, the water/cement ratio, and inspection results to the paperless ticket. 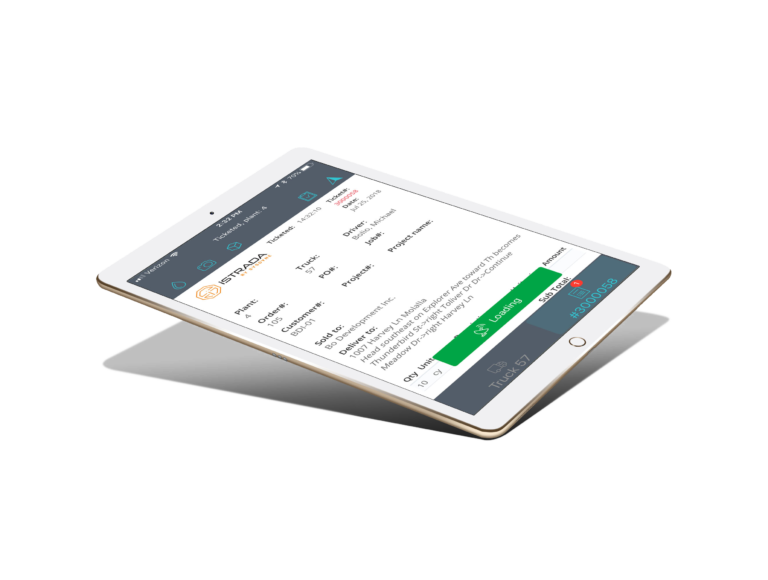 The batch weights can be made available, which would allow the driver to simply email a ticket with the electronic signature. Drivers can use the iStrada app to clock-in and clock-out, fill out pre-trip and post-trip DVIRs, and record their breaks. The total working hours in each day are recorded on the app, which also provides drivers with a maintenance log. Drivers can record water added at the plant and at the job site. 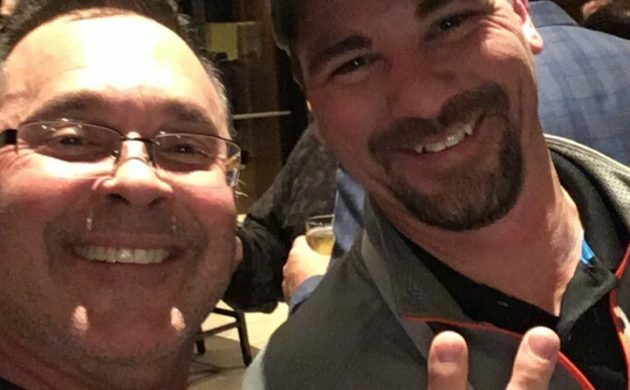 The app also allows them to take pictures, capture job site conditions, and record the foreman who received the delivery. 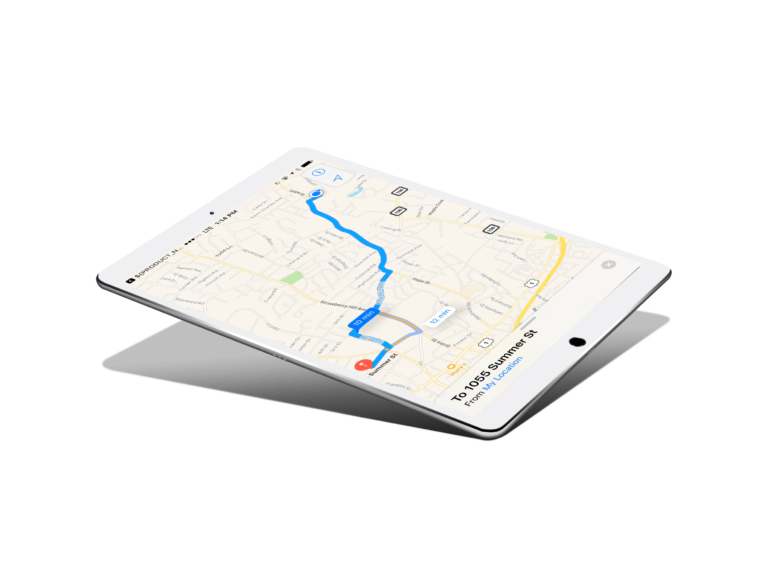 iStrada automatically identifies the delivery address, making corrections if necessary and providing routing guidance to prevent drivers from getting lost. The delivery route can also be customized to optimize delivery times and avoid delays. 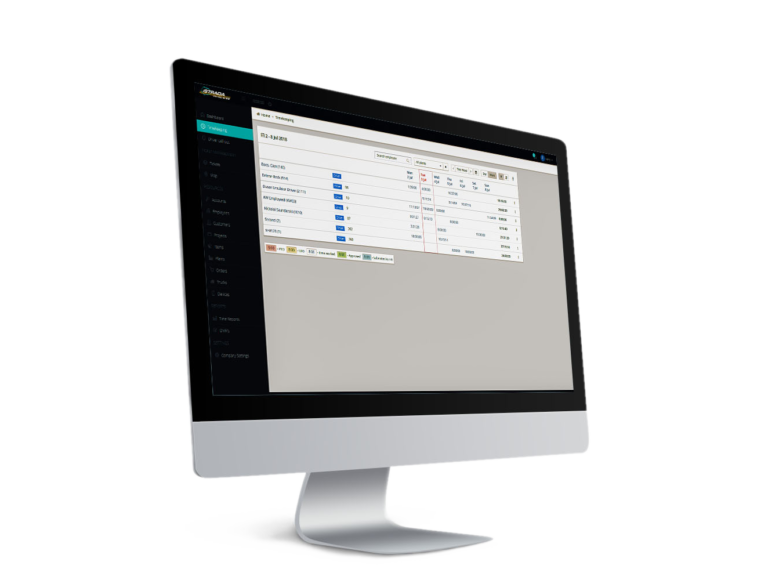 Our iStrada web portal allows producers and customers to collaborate seamlessly online. Information is shared and updated in real-time to significantly improve concrete delivery and communications. You can track delivery tickets in real-time, as information is automatically updated. Consolidating and searching for tickets can be done by day, week, customer, project, order, or truck. Tickets can even be emailed in PDF format. View all of your trucks and delivery statuses on an easy-to-use Google Map. Draw custom geo-fences to improve accuracy while delivering to the jobsite. Track truck speeds, replay snail trails, and ensure driver safety. 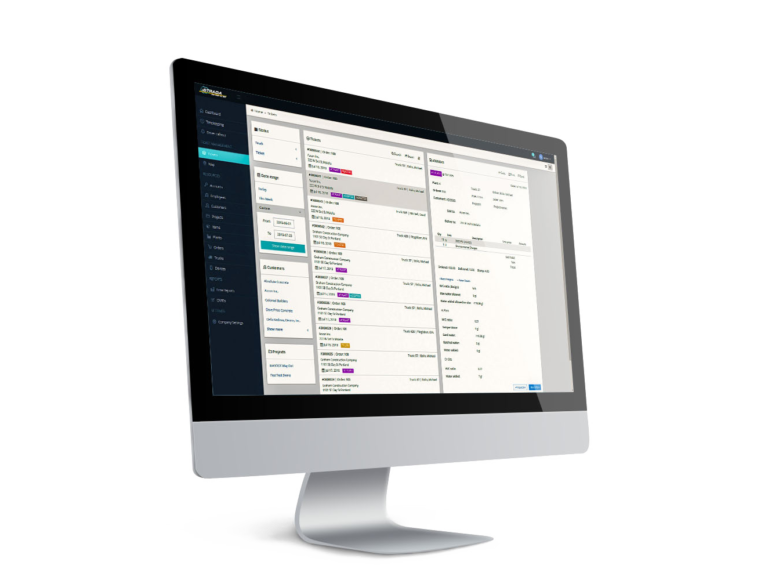 Consolidate inspector, contractor, and producer information on a single platform. Producers can give stakeholders access to job data, batch weights, and delivery times. Inspectors can add notes directly into the app. Use the iStrada app to manage timekeeping for drivers, as well as hourly employees. 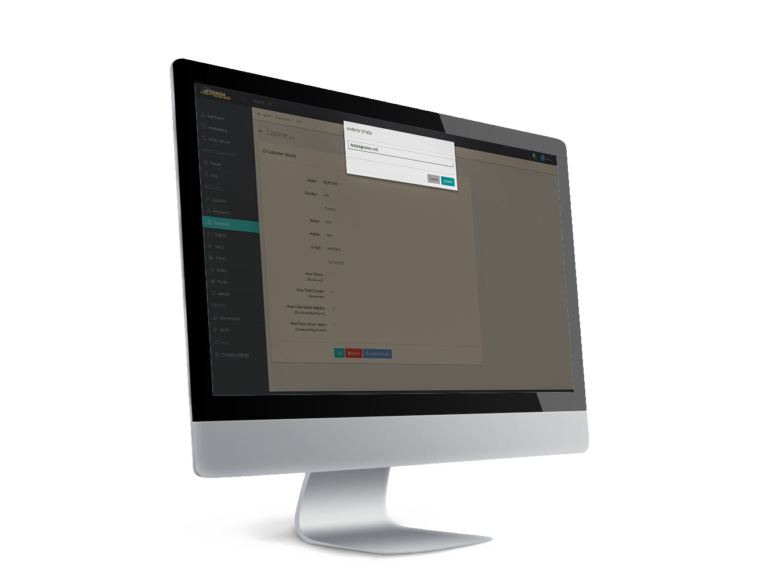 Time reports can be exported easily to your payroll. The driver call-out function allows you to use SMS or email to confirm your start time. Dispatchers, managers, and owners can gain critical insight into their fleet and production performance. You will have the ability to visualize and analyze data and focus on Key Performance Indicators (KPIs) that help drive profits and efficiency. Access real-time data in an easy-to-use format, consolidate huge amounts of data and arrange numbers, metrics, and performance scorecards on a single screen. All information will be at your fingertips. Does iStrada offer GPS truck tracking? Yes, iStrada offers GPS truck tracking, electronic ticketing, timekeeping, DVIRs, and more. Can I use iStrada with my existing dispatch and batch systems? Yes, our products support other platforms. Can I use iStrada with our existing GPS? Yes, iStrada works with most common GPS solutions in the ready mixed concrete industry. Can I use iStrada without dispatch? Yes, iStrada can work with batch controls directly without dispatch. Can I use my iPhone for iStrada? Yes, iStrada works with both Android and iOS mobile devices and tablets. 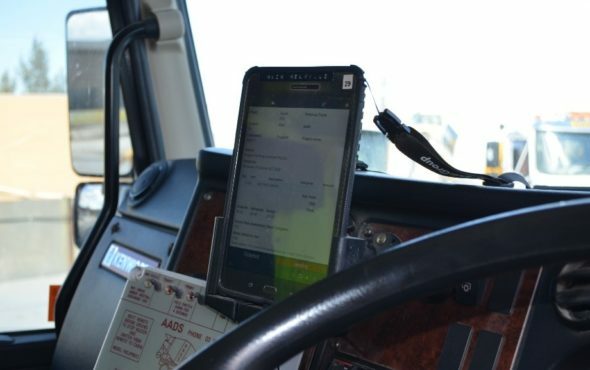 Does every truck need a dedicated tablet? 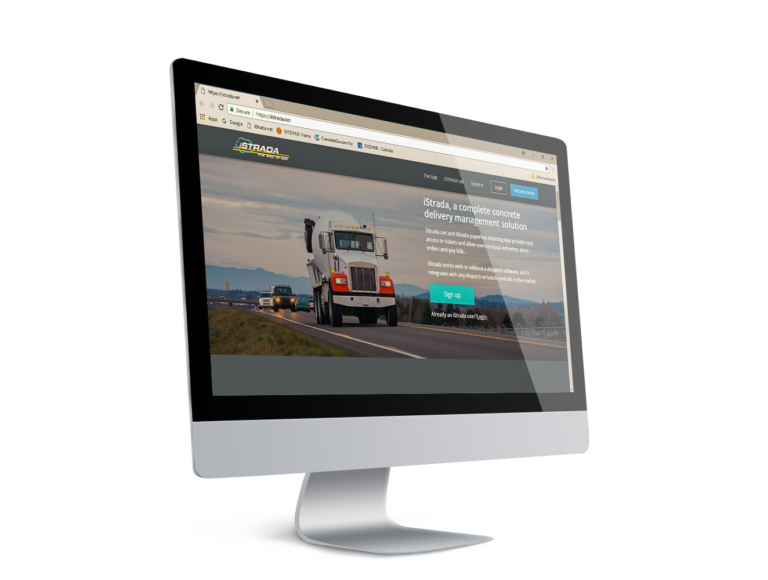 No, iStrada doesn’t require a designated tablet for each truck. The driver can switch tablets from one truck to another by simply changing the truck number in the iStrada app. Do I have to pay for trucks that are parked? No, iStrada is offered as a pay-as-you-go solution. You only need to pay for the trucks that are using iStrada. Where are the digital tickets stored? The tickets are stored in a data center hosted by Amazon Web Service (AWS). Do we have to pay AWS for the hosting service? No, you will only have to deal directly with Sysdyne. Your subscription fee will cover the use of iStrada, updates, 24/7 hosting service, and support! We never stop improving. Our goal is to transform the industry with leading-edge technology and to provide unparalleled 24/7 customer support. We know what it takes to earn the trust of our customers, and we are committed to keeping that trust. "iStrada is a great solution for Manatts because of its versatility. With 40 ready mix plants and 240 trucks online, getting fleet GPS, truck status, custom DVIRs, time keeping and e-ticketing all wrapped up in one platform, this was the package we were searching for. Combining tracking and dispatch software from Sysdyne has definitely improved our fleet management and efficiency..."
At Sysdyne, your satisfaction and the success of your business are our top priorities. Our team members are readily available to help you streamline your operations using the iStrada platform. Call us today at 203.327.3649 to schedule a consultation or complete our convenient contact form to send inquiries.